the most colourful run of the year! On Tuesday, 30 July 2019 we will transform Stockholm’s royal park into a colourful place for celebration, a fun-filled party and community spirit. 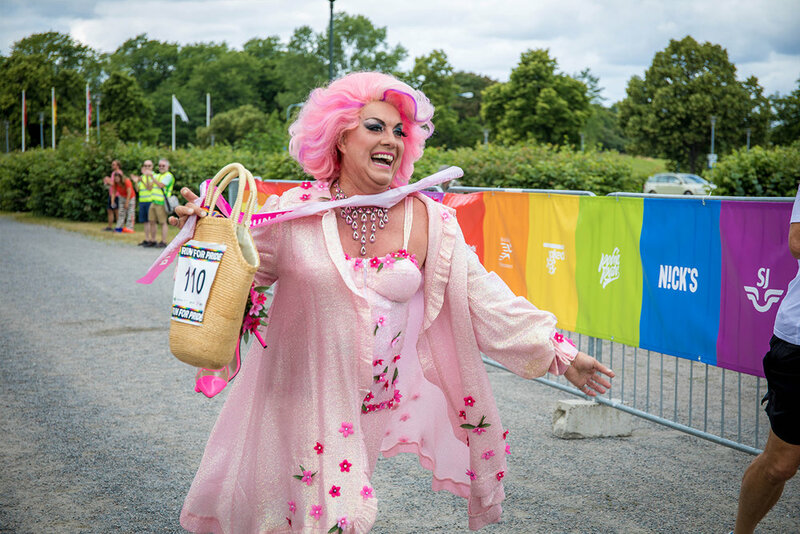 That is when Run for Pride will once again be held on the island of Djurgården – and it will be even better than last year. You can choose to run either a 5 km or a 10 km race, and just like last year our focus is on having fun rather than running our best. We hope to bring together 1,000 participants to run with us and enjoy entertainment from great acts on stage and many fun surprises along the way. This year we will donate a full SEK 100 for every participant to Sweden’s “Rainbow Fund” – a foundation that aims to create a world with the same fundamental human rights for all, regardless of sexual orientation, gender identity or expression. So come and join us, and help make history! The registration fee also includes a goodie bag and medal! - Location, Royal Djurgården with start and finish line outside Sjööhistoriska Museet. The start takes place at 18.00. - Professional timing in collaboration with Racetimer. - Good for both body and soul. Test your limitations in the race while 100 SEK of the registration fee goes unnoticed to the Rainbow Fund. Run for Pride Magazine is a magazine that goes out the week before the Pride Festival starts. Here you can find exclusive interviews, and information about the festival.